This entry was posted in Australian Women Writers Challenge 2015, Book reviews, Uncategorized. Bookmark the permalink. i understand your discomfiture with this book. It’s the same feeling I have with stories influenced by fairy tales. I don’t like in a Native English speaking place and haven’t grown up with those stories, It makes me feel left out. Thanks for reviewing this, I’ll probably give it a pass. I couldn’t gather enough resolve to finish this one; it simply didn’t capture my interest. 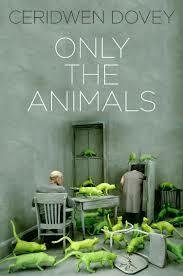 And I say that as a literary reader who usually loves an animal story.